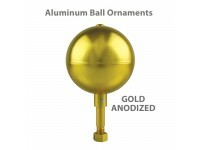 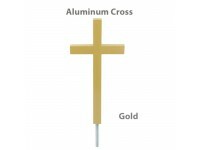 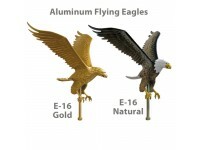 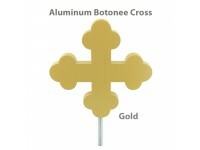 Gold anodized aluminumSpindle includedUse with outdoor flagpoles..
Clear anodized aluminumSpindle includedUse with outdoor flagpoles.. 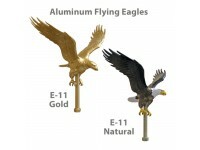 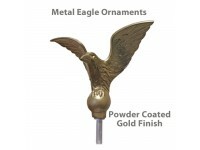 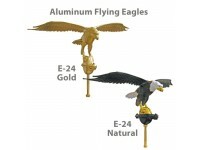 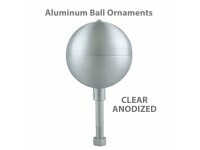 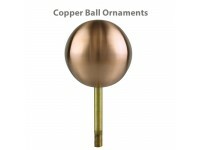 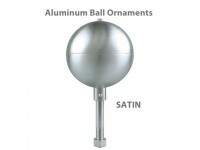 Satin finish aluminumSpindle includedUse with outdoor flagpoles.. 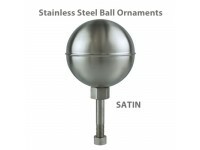 Satin finish stainless steelSpindle includedUse with outdoor flagpoles..
Mirror finish stainless steelSpindle includedUse with outdoor flagpoles..
Gold leaf finish copperSpindle includedUse with outdoor flagpoles..
Clear lacquered finish copperSpindle includedUse with outdoor flagpoles..
Spindle includedUse with outdoor flagpoles..
Spindle includedUse with outdoor flagpolesOptional: 3in diameter Gold Anodized Aluminum Globe slips over spindle of E-16 Eagle (Gold or Natural)..
Spindle IncludedSpindle Threading: 1/2in -13NCPowder Coated Metal FinishUse with outdoor flagpoles..
Spindle includedPainted gold finishUse with outdoor flagpoles..
Cross Height: 12inCross Width: 12inSpindle Threading: 5/8in -11NCSpindle includedPainted gold finish aluminumUse with outdoor flagpoles..
Two 1/4in -20NC Stainless Steel Mounting Screws IncludedCast AluminumTwo Cleat Lengths: 6in & 9inAvailable in Four Finishes: Silver, Bronze #313, White & Black..
Two #10-5/8in Self-Tapping Flat Head Mounting Screws IncludedCast AluminumTwo Cleat Lengths: 4-1/2in & 6inAvailable in Four Finishes: Silver, Bronze #313, White & Black..
Two 3/8in -16NC Stainless Steel Slotted Flat Head Mounting Screws IncludedCast AluminumCleat Lengths: 14-3/4inDistance between bolt centers: 4-7/8inAvailable in Four Finishes: Silver, Bronze #313, Whi.. 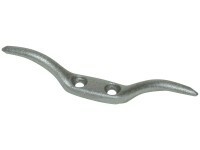 Cast BronzeCleat Lengths: 9inDistance Between Bolt Centers: 2-3/4inTwo 1/4in -20NC Brass Mounting Screws Included..
Cleat Lengths: 9inDistance Between Bolt Centers: 2-34inTwo 1/4in -20NC Brass Mounting Screws Included..
Two #10-1-1/2in Self-Tapping Mounting Screws IncludedCast NylonAvailable in Gray or White finish.. 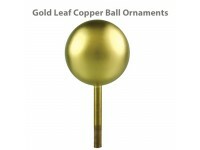 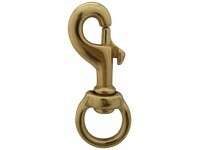 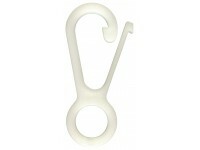 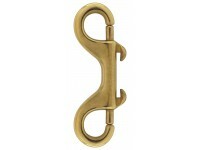 Solid Brass ConstructionAvailable in 3 lengths.. 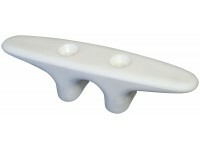 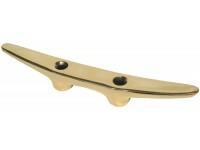 Snap Length: 4inSolid Brass ConstructionDouble Snaps.. 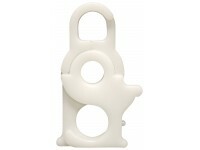 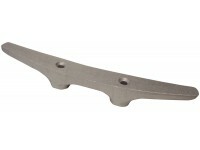 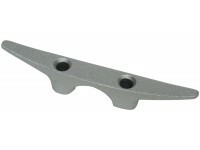 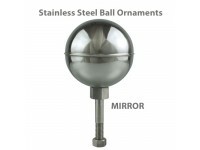 Stainless Steel ConstructionAvailable in 2 lengths..